Almost time to fertilize your trees and shrubs! Trees and shrubs can sometimes be forgotten when it comes to fertilizing the yard in the spring. Young trees especially those with a trunk diameter of less than six inches can greatly benefit from regular applications of fertilizer. When young trees soak up fertilizer they grow quicker, develop a dense canopy and will stay green longer into the fall. Furthermore tree roots can extend for a long distance and they will absorb nutrients when the area around them is fertilized. 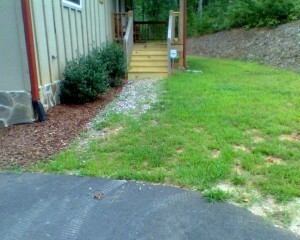 The best time to fertilize in Georgia is early spring. Most woody plants begin there new year’s growth with elements stored from the year before and an application of fertilizer in the spring gives an additional boost to this new growth. – Do you have young trees or shrubs with a trunk less then 6 inches in diameter? – How much growth do you see? Most young trees average about 12 to 18 inches of new growth each year while older trees have less. – Is your tree or shrub growing less than expected? – Has the color, size or amount of foliage changed? – Has the tree or shrub recently had disease or insect problems? If you answered yes to any of these questions you could greatly benefit from fertilization. Call Complete Home Services today for all your fertilization needs, lawn care services, or any questions you might have about fertilizing in the spring. Hardscape before you plant for spring! 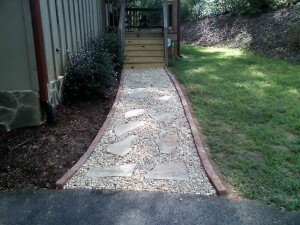 Are you thinking about putting in a fire pit, a new walk way, or maybe just some decorative stone? If the answer is yes now it the time to install it! If you wait until you start planting your spring bulbs the stone work could interfere with your planting and can harm the bulbs and plants. Now is a great time to install so that you will be ready for plant installation in spring. Come by our office to discuss your options or give us a call and we can meet you at your property.